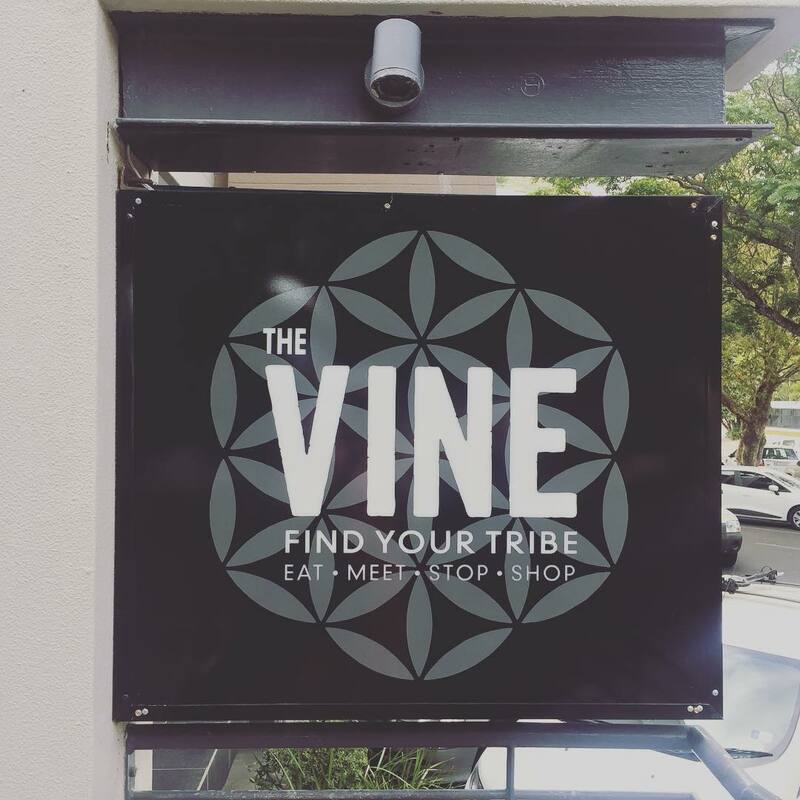 The Vine Café is a great place to eat, drink and shop – but we’ve tried to make it more than that too. It’s a place for all active people – runners, road cyclists, mountain bikers, hikers, triathletes – at any level, to come and share their passion. We’ve got a mix of seating (tables, alcoves and sofas), free wi-fi, and power sockets for your laptop. And check out the walls! We’ve got a large screen showing loads of great cycling and running routes, and a Strava board too. We’ve also put up some maps of popular routes. 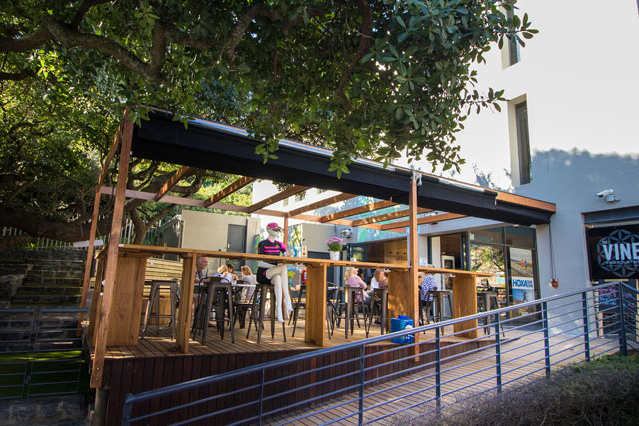 And we use our other TV screens to show big sporting events, or just to share some images of Hout Bay, Chapman’s Peak, and the surrounding area. MEET: We organize several regular group runs, rides and walks, which start here at different times throughout the week. Whatever your level, there’s something for you. Look out for our incredible guided hikes as well. 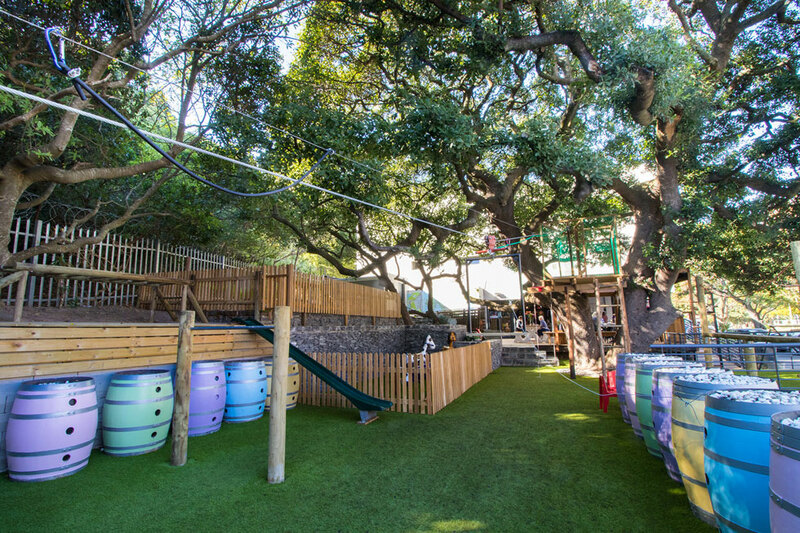 We’ve even provided for parents: we have a large kids playground on site. STOP: If you need to warm up or cool down, head to our stretch zone. Or take a minute to relax on one of the bench seats outside. And if you want to really flop out, go for one of the bean bags. 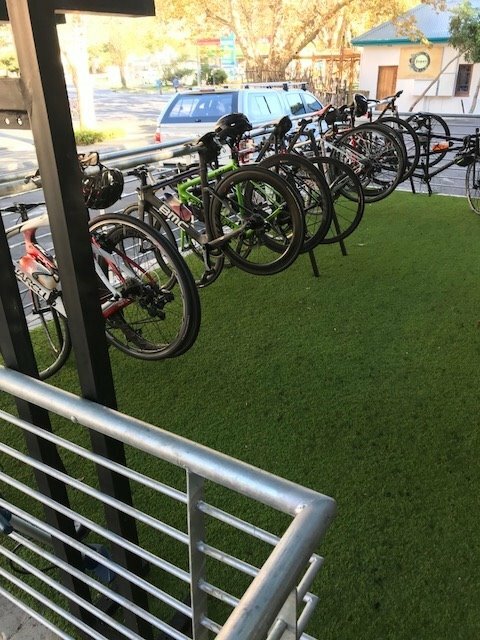 Feel free to use one of the bike racks, repair stations with the latest bike products, the tyre pumps, the stretch area and the foam rollers. We also sell inner tubes if you need one (bad luck!). 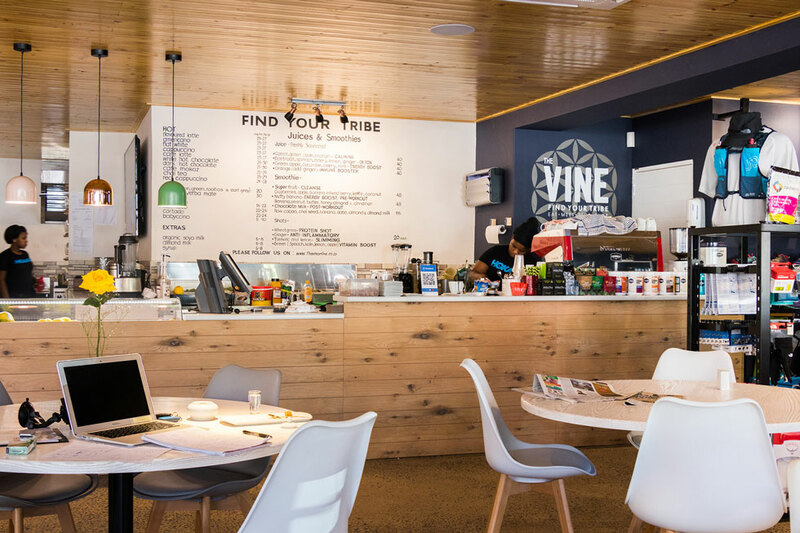 If you’re just making a quick pit-stop, we’ve got everything you need to re-fuel: takeout coffee, gels, sports drinks, bottles of water and snacks. SHOP: We’re proud of our shop, which stocks loads of top-end clothing and equipment from Merida, Norco, HOKA, Salomon, North face, Tailwind, Rhone and more. 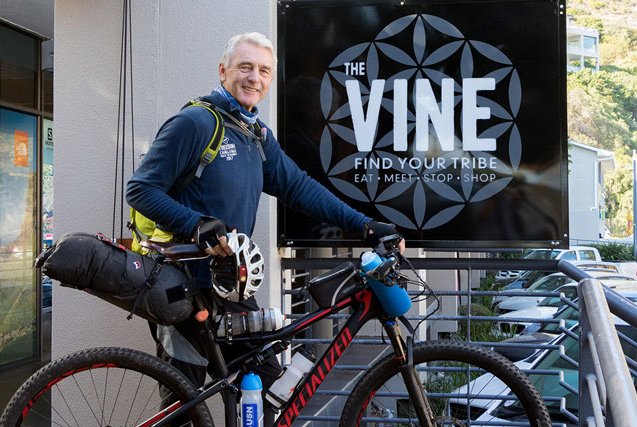 Our friendly, knowledgeable staff understand running, cycling, fitness and nutrition – and our founder, Innes, is a qualified running coach. We’ll help you find the gear that’s right for you. We’ve got loads of free stuff too, including training guides, hiking trail maps and cycle routes.